Clean Carfax and One Owner! The 2017 Dodge Grand Caravan is one of the least expensive minivans on the market, and its available second-row Stow 'n Go seats are a favorite for families on the go. The 2017 Grand Caravan is a so-so minivan. It does have some very appealing qualities, like convenient Stow 'n Go seats that fold flat into the floor (eliminating the need to remove bulky seats when you need more cargo room) and a V6 engine that’s plenty powerful. The average price of a 2017 Grand Caravan is $20,100, based on more than 5,000 listings on our used car site. That equals a savings of more than $10,000 over the average 2017 Honda Odyssey. Factors such as optional features, vehicle condition, mileage, and regional demand affect the exact listing price, so it's typical to see prices ranging from $17,200 to $23,500. The 2017 Dodge Grand Caravan comes in four trims, streamlined from six in the previous year. The base Grand Caravan SE is sparsely equipped. For families, we recommend starting with at least the SE Plus trim. In addition to the standard third-row Stow 'n Go seats, the Grand Caravan SE Plus gets these folding seats in the second row, making it a breeze to quickly change your interior to either haul cargo or hold extra passengers. 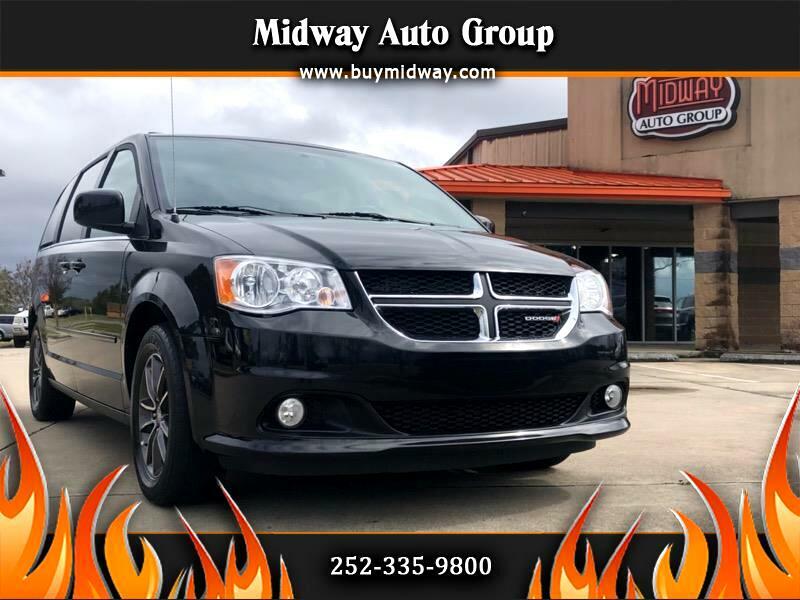 Opt for the Grand Caravan SXT if your budget allows. Its upscale interior is outfitted with leather seats, power-sliding rear doors, and a power liftgate. A tow package is available, but only in the range-topping Grand Caravan GT. Some GT models may also have advanced safety features like rear parking sensors, blind spot monitoring, and rear cross traffic alert.